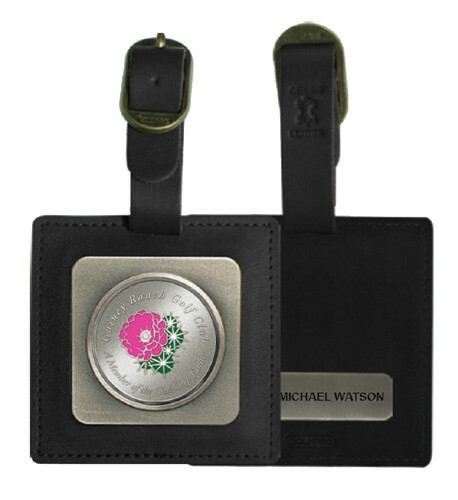 This is an elegantly designed leather and metal bag tag. The metal plates are permanently sewn in and can be customized with a 1.5" diameter disk featuring three imprint methods; die struck, enamel color filled or 3D textured rubber. A name plate is featured on the backside. Attaches with genuine leather strap. Available in black or brown leather. Gift box packaging available. 2.875" x 2.875" x .125"